If you’re searching for a trusted chiropractor in the Wantirna and Knox area, make an appointment at Knox Chiropractic & Wellness. We are focused on a vitalistic philosophy of health and wellness. We aim to improve the function of your nervous system by removing interference to its ability to control and regulate itself. When people come to us, we determine if they are in the best place to achieve their health goals by completing a thorough health history and examination. Our goal is to find areas of your spine that aren’t functioning normally, and if we do find these interferences, we know that you’re in the right place to help improve your expression of health. Improving the function of the nervous system will allow the body to perform better. This can help a variety of health issues, but our goal at our Knox chiropractic clinic is to restore nervous system function and not necessarily treat specific ailments. When the nervous system works, the body can heal. Our chiropractors on Boronia Road play an important role in the community. We understand that many factors can impact your health. The stresses of daily life can often compromise your body’s ability to adapt to its environment, which can lead to a less than optimal expression of your fullest health potential. As chiropractors, we are continually amazed at the incredible healing capacity of the body. We believe that the body has the best ability to self-heal, self-control and self-regulate when there is no interference in the nervous system. We facilitate the optimal expression of your body for greater health and wellness. Whether you reside in Wantirna, Ringwood, Bayswater, Boronia or Ferntree Gully, our aim is to combine education with our care, allowing you to leave our Knox clinic equipped with the right knowledge for your wellness. As your trusted chiropractor in Wantirna, our mission is ‘enhancing our community’s health potential, naturally’, with our chiropractors providing family chiropractic care to the community for over 15 years. Drs. 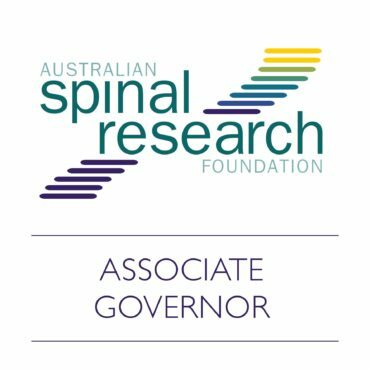 Brad and Jen are also Associate Governors for the Australian Spinal Research Foundation, they play an integral role within the operations of Foundation. All Associate Governors act in an honorary capacity providing service to the profession. Dr. Brad graduated from RMIT in 2002. He has a strong philosophy in wellness chiropractic and focuses on improving the health of the community through enhancing spinal health and wellbeing. 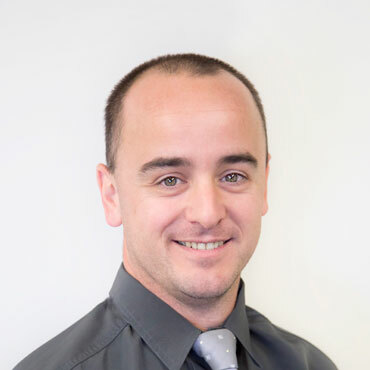 Dr Brad enjoys working with elite athletes he holds an International Chiropractic Sports Science Diploma (ICSSD). Dr. Brad loves working with kids and offers care from to all members of the community from newborns to the elderly. Dr. Brad has served as an executive board member of the Chiropractors’ Association of Australia Victorian branch for the last 4 years. He is also heavily involved in the further education of chiropractors with involvement in organising seminars throughout Australia. Dr. Brad was recently awarded for his outstanding service to the chiropractic profession in 2016. Upon graduating from Royal Melbourne Institute of Technology (RMIT), Dr. Jen has worked in Melbourne and overseas. Dr. Jen’s strong philosophy and focus in enhancing and maintaining the optimal function of the nervous system via the spine and its subsequent influence on overall wellbeing leads to her passion for wellness chiropractic, particularly working with children and families. Dr. Jen also enjoys working with clients with a keen interest in sports; Dr. Jen is a ‘Rock Doc’ –a Rock Tape specialist, and certified in Thompson Terminal Point Technique. Dr. Jen’s passion to assist people to lead healthier lives sends her overseas as a volunteer chiropractor in developing nations, such as Cambodia and India. Dr. Jen is also involved in organising annual volunteer trips for chiropractors and final year chiropractic students. Steph, our chiropractic assistant, is the first friendly face you will have contact with at Knox Chiropractic & Wellness. She is here to welcome you, book your appointments, take care of your accounts and have a chat. Steph also assists the chiropractors with some of your health assessments, and can answer any questions you have about chiropractic and natural health care.